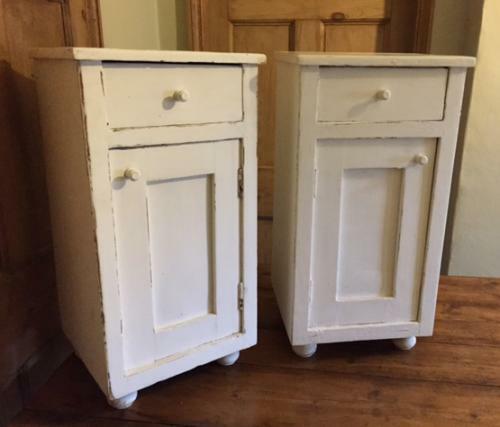 Rare matching pair of antique pot cupboards. These are so difficult to find as matching pairs as more often than not they were used and bought singly whereas now we use them as bedside cupboards for table lamps etc. Classic cottage style from early 1900s with ball feet.